Finally, our team of 50 + doctors have just released the most comprehensive Pre-Clinical package on the web. If you’re looking to clear the first steps of your medical school career with ease, then look no further. We’re here for you every step of the way! Curious to know how you’ll be nailing medical school with AMBOSS? With our newly released Pre-Clinical content, you’ll find traditional disciplines like anatomy, behavioural sciences and biochemistry, as well as interdisciplinary areas like genetics and molecular biology. We have tables and charts to help bolster your learning efficiency, and multimedia such as microscopic images, diagrams, and videos. You’ll also find these in our clinical content, so go ahead and explore topics such as dermatology, urology, psychiatry; these are just the tip of the Knowledge Library. Begin at our Basic Sciences section. Here you’ll find everything you need to know for the beginning of med school, from anatomy to physiology. Our Knowledge Library is the most comprehensive resource available for you to sustain all your required medical knowledge. Dive into our 15 000 + medical topics, and begin to feel comfortable with our seamless integration between our Learning Cards and our Qbank. What’s the purpose of studying if you don’t test yourself on what you’ve learned? You need to be able to retrieve information if you want to retain it in the long run. AMBOSS has 4000 questions for you to tuck in into. Best part is that we explain every answer, right or wrong! Create your own test session, or test yourself on the topic you’ve just read! With AMBOSS, our Qbank and Knowledge Library are fully integrated, meaning you can steer yourself to the very topic you’re answering a question on, so navigation is totally optimised for learning. We don’t waste time, and neither will you when you’re studying with us. Not sure what’s important? In a hurry? We have you covered. 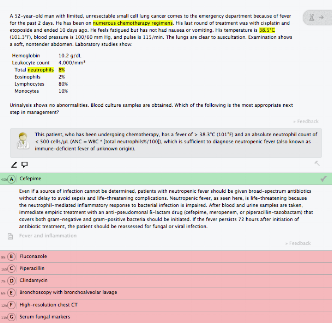 Use our highlighting and high-yield mode to maximise your study time by targeting the most vital information in each Learning Card. This really comes in handy when you’re studying on-the-go; check out our offline function for our mobile apps. As a student, you need to separate what you do know, from what you don’t know. Here, we have another trick up our sleeve. 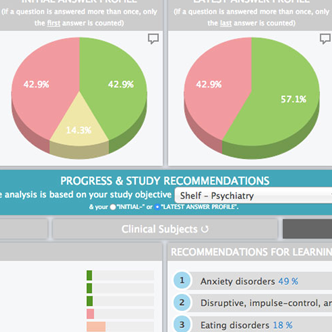 Monitor your learning progress through our evaluation tool, where you can find which topics you need to improve on, either by Organ, Subject, or Learning Cards. Want more? We got it. We have a Learning Radar function which separates what you do know, from what you don’t know in each Learning Card. You’ll likely need to use some of your Prof’s slides, or add some notes your friends made, or your very own! 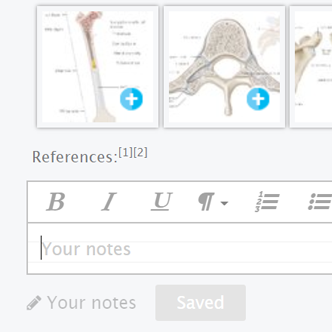 We give you the option to scribe lecture notes, some thoughts on the subject, or whatever you think can help you study. AMBOSS is always here to answer any questions you may have. We pride ourselves on being super approachable, so if need be, shoot us a message at hello@amboss.com .